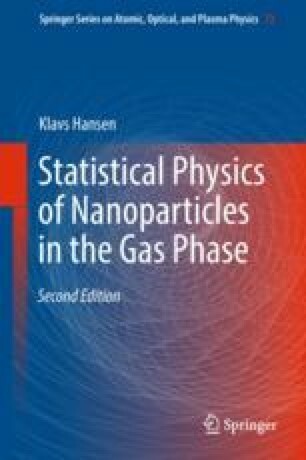 One of the most important types of processes in the physics of free nanoparticles is the emission of energy in some form. Particles flying around in vacuum with excitation energies beyond those that correspond to ambient temperature will sooner or later emit their excess internal energy. This is bound to happen, because even in vacuum will the particles interact with the rest of the world by radiation and sooner or later equilibrate to the temperature they see from the walls of the vacuum chamber. But emission (and absorption) of photons is not the only possible relaxation mechanism. Particles can also emit massive fragments like electrons, atoms or small molecules. Emission of massive particles or electrically charged particles is much easier to detect than photon emission. Lose one photon and you may or may not (usually not) change the external attributes of the particle a lot. Lose one electron and the motion in electric and magnetic fields is completely changed.